I am looking for a balance assembly for a Vostok 2416 movement. If someone has a donor, it would be much appreciated. Hi, I'm new on this forum and this is my first post. Thank you to all the contributors who share here so valuable knowledge and informations! I'm actually looking for a spare balance spring for a Luch 2209. If anybody could help me, it would be wonderful! My favorite Komandisrkie just croaked. I'm looking for a good mov't! I think it's a 2414. Looks like this. I'd be much obliged if you had one to spare. i need a raketa 2609a set lever, or a whole new 2609 movement of any 12hr caliber. How's it going? Just got my first Russian watch, A Moscow Classic Vodolaz 3602- what a beauty. Unfortunately it came only with a Steel case-back. So... I am looking for a GLASS case-back for the MC Vodolaz 3602! P.S. I live in London. Looking for a vostok amphibian bezel. Any condition. Thanks and hope someone will be able to assist me. Hello does any one have a source for replacement watch hands? I am looking to replace the hands that came with a Poljot 31681/1801002 with hands that are easier to read. I am looking for a donor movement for my Poljot Aerowave 4. I believe it is the 2614. Any help would be greatly appreciated! Hi. 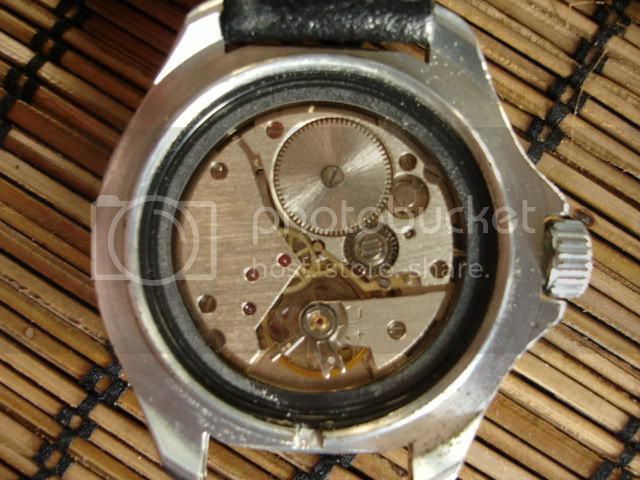 I am looking for a case that will fit a Vostok Precision 2809 movement. Any help will be appreciated.